That my friends is the definition of futility. Ok, it’s not the dictionary definition of the word, but you get where I am going with this analogy. One of my greatest strengths, and perhaps as I am starting to learn, one of greatest weaknesses, is my perseverance. I used to think of this as my ability to see the light at the end of every dark tunnel, to maintain hope when there often is none and to fight til the bitter end if the cause was worthy. This has helped me get through some difficult times in my life. Quite recently I had been faced with a heartbreaking loss. A loss from which, I thought I would never recover, but I stubbornly kept fighting. My heart was in the fight and true to form, I carried on when others would have given up and thrown in the towel, and it seemed, for at least a short time my perseverance served me well. Now once again I am faced with the very same scenario. My instincts and my heart tell me to fight and stand tall but my mind has started to grow wary. 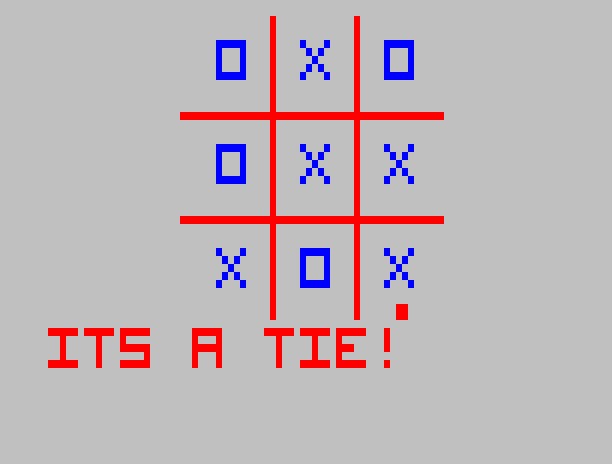 I am now starting to wonder if I am just too stubborn to see that life itself has thrown the ultimate game of tic-tac-toe at my feet. The game that can never be won.